I have been out here for three months and I have not even sniffed the halfway point. That’s not true. I have. I’ve seen many new friends post about it, and we canoed almost all the way to Harpers Ferry. So I’ve come close, just not walking. 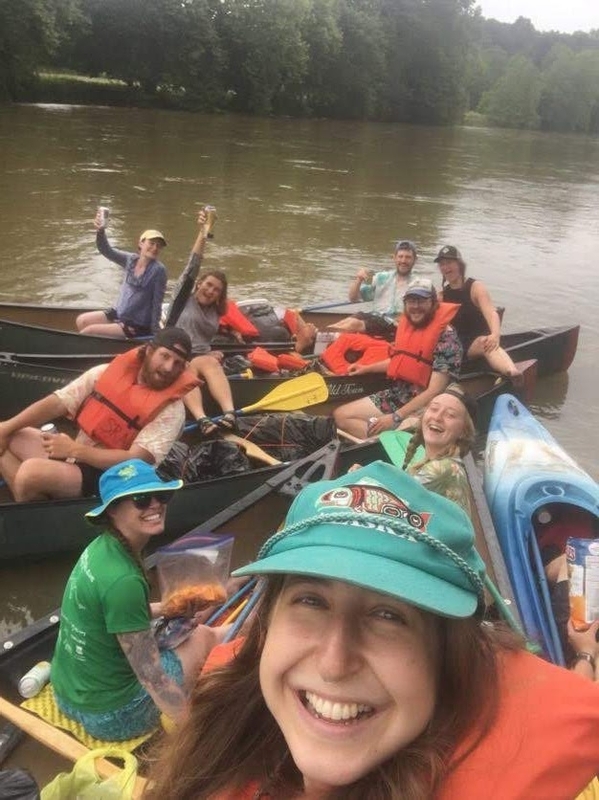 A couple weeks ago the hiker collective we had become, also known as The Snooze Crew, decided we wanted to aqua blaze together. 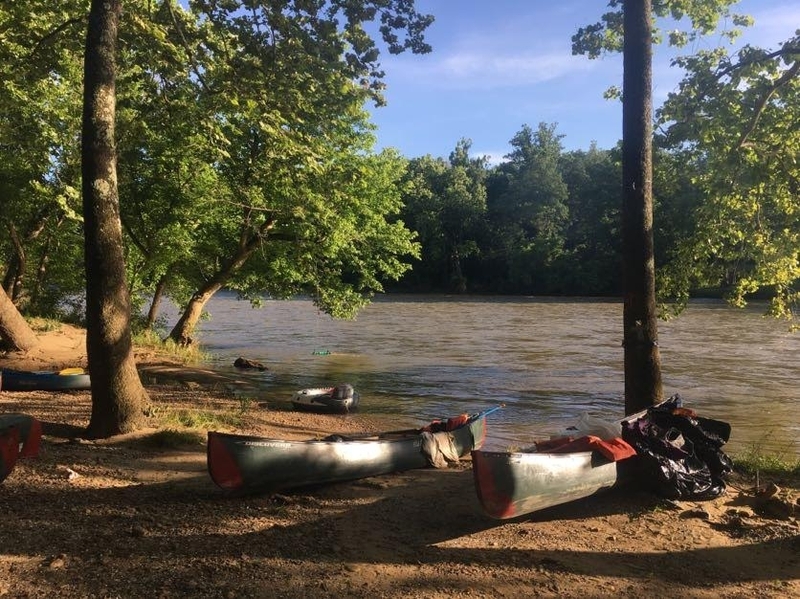 Aqua blazing is a term for a stretch of unofficial trail that runs along the Shenandoah River from Waynesboro to Watermelon Park (close to HF). 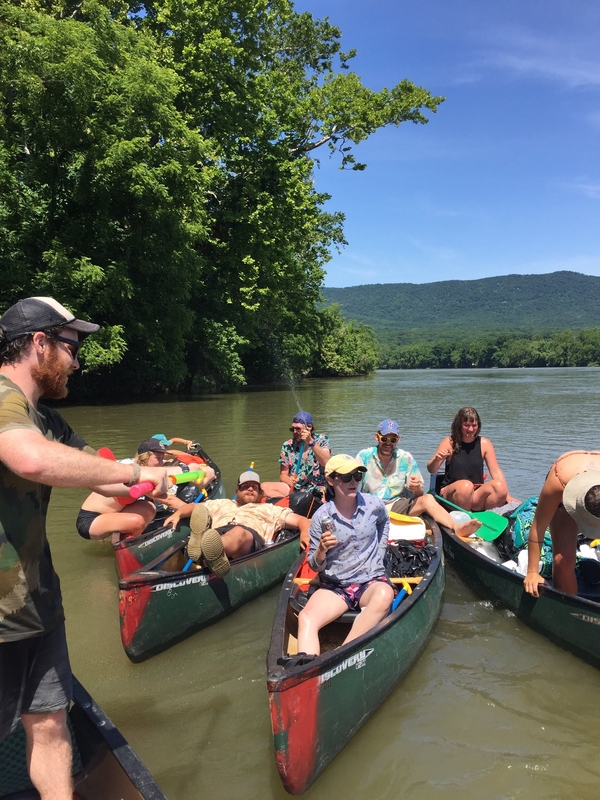 So the crew gathered in a U-Haul leaving Dalesville and shipped up to Waynesboro, where we hopped in nine canoes and a kayak and started paddling north. The first day went about as decent as one would think a bunch of hikers would do off land, exposed to rapids. But it sure was a good time. The days on the river are much different from those on trail. This is for many reasons. Paddling really takes it out of you, and we got some class three rapids. But it was nice to rest the legs for a bit. I did do a little bit of swimming as the Booger Bear and I took on a bit too much water… twice. Taking time off the trail allowed us to see a different part of the trail community. Traveling by river, we still encountered many trail towns, full of wonderful people interested in our journey and wanting to help. Some people believe one must hike every step of the AT by foot and to that I say hike your own hike. 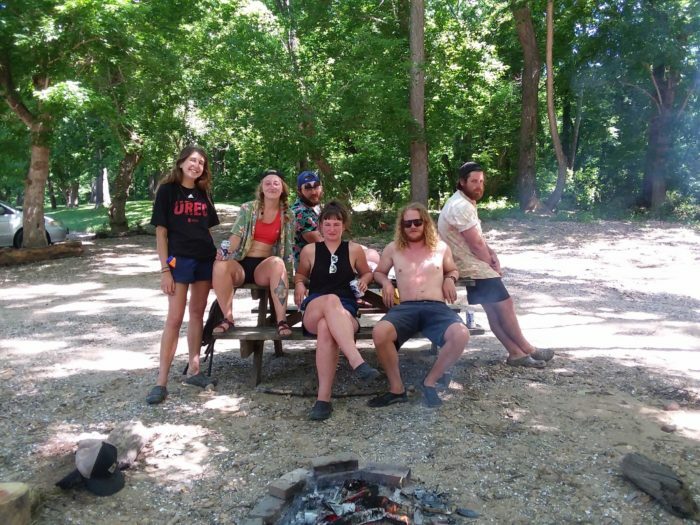 Some of us got off after a few days, others went the whole 100-mile stretch, barely making it. 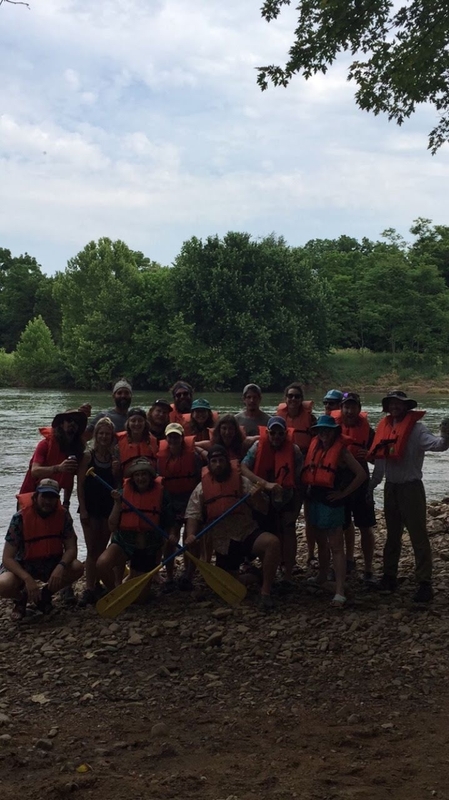 But regardless of how one feels about getting off trail for a week, when an opportunity arises to go canoeing up a river with some of your best new friends, don’t think twice. We sure didn’t, and we had a blast. So I think I know why this is taking so long. We are just having to much fun. No that wasn’t us!! We went back to Daleville to hike the miles we paddled! Will be there hopefully soon! Come hike!